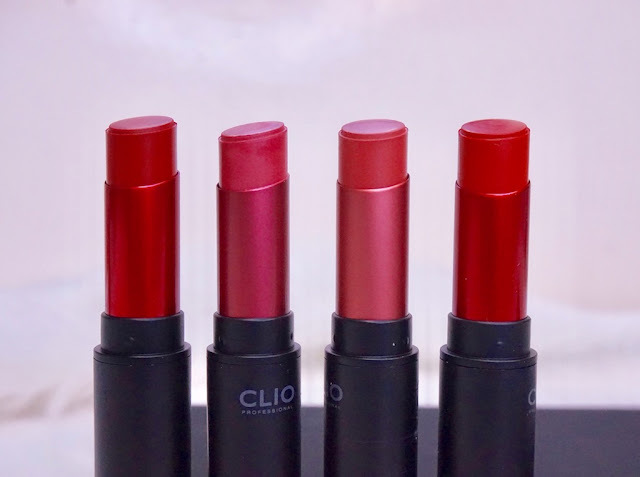 Club Clio Mad Matte: Super comfy matte lipsticks! More reason to wear matte lipsticks with these comfy mattes from Club Clio! Here's a review on Club Clio Mad Matte Lipsticks. I'm back after my fulfilling 5- day vacation in Dumaguete and Siquijor! 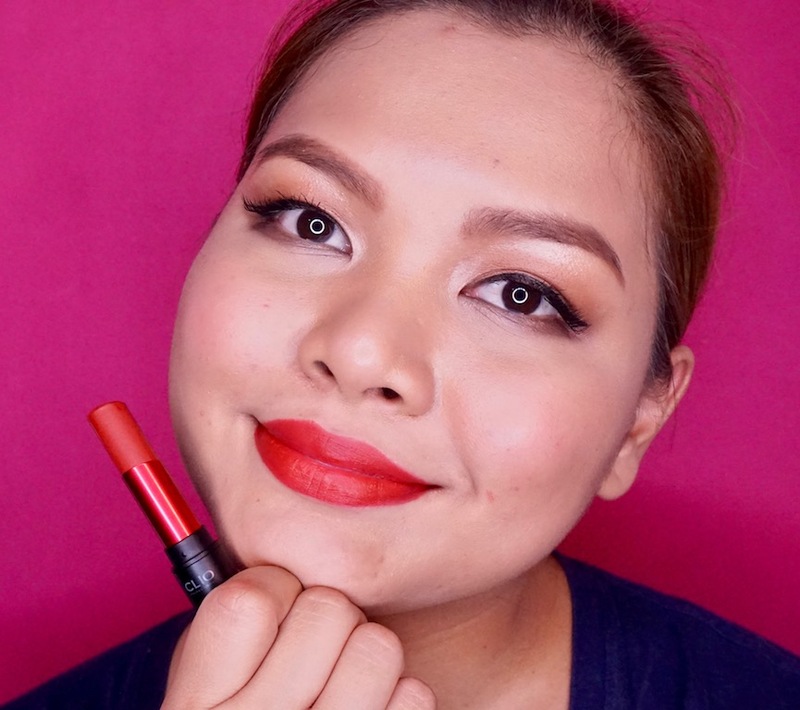 I'll be sharing my wonderful vacation through a vlog and travel guide blog post soon, but for now, check out these comfy matte lipsticks from Club Clio called Mad Matte. Mad Matte contains vivid colors in a formula infused with hydrating oils for a moisturizing finish. I love the sleek, chic packaging that makes it easy to slip in the pocket for quick retouching. Club Clio's really good at fusing pro and trendy designs in their packaging. 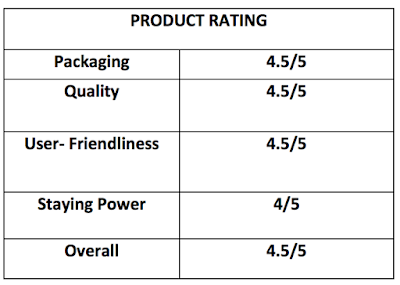 The box also has the name of the shades engraved on the sides in large fonts, which makes for easy reading and determining of the shade. 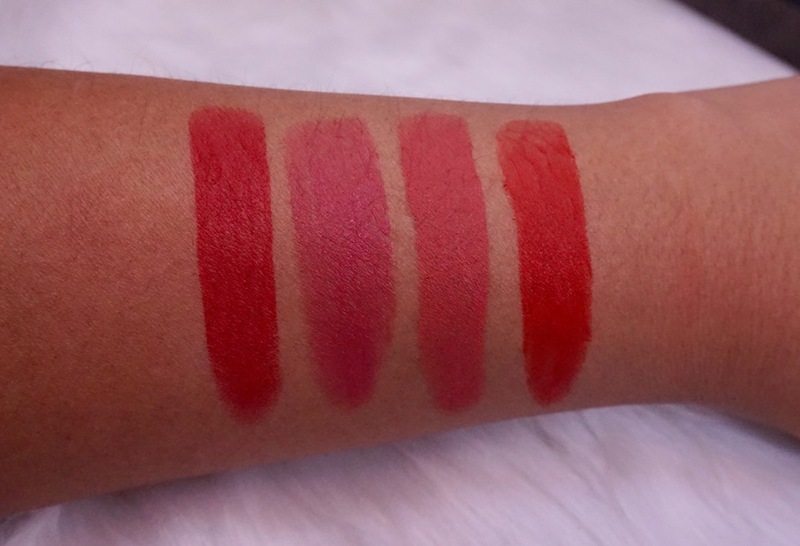 The lipsticks have a soft, buttery formula and semi- matte finish; one swipe delivers great color payoff and it feels really soft and smooth on the lips. I have dry lips and I found this really tolerable to wear and my lips didn't flake. It has a light floral fragrance and the balmy texture gave a little volume boost as well. - Midtone Rose with a pink undertone. - Warm red with a hint of berry. - Pale Rose with a peach undertone. - Bright red with an orange undertone. Staying power is good: it can last the whole day without retouching and only fades a little after a meal. The colors are gorgeous too! 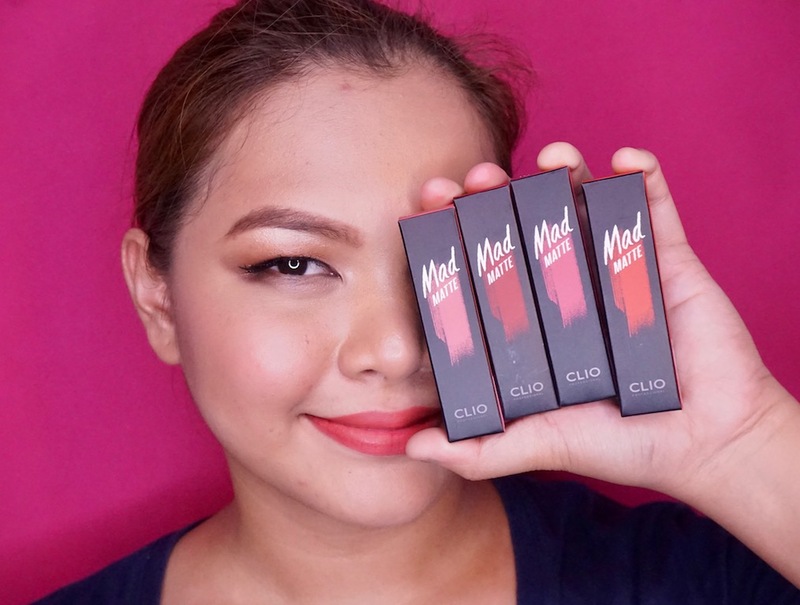 Gone are the days when matte lipstick used to be dry, flaky, and uncomfortable now that we have innovative brands and products like Club Clio Mad Matte lipstick. 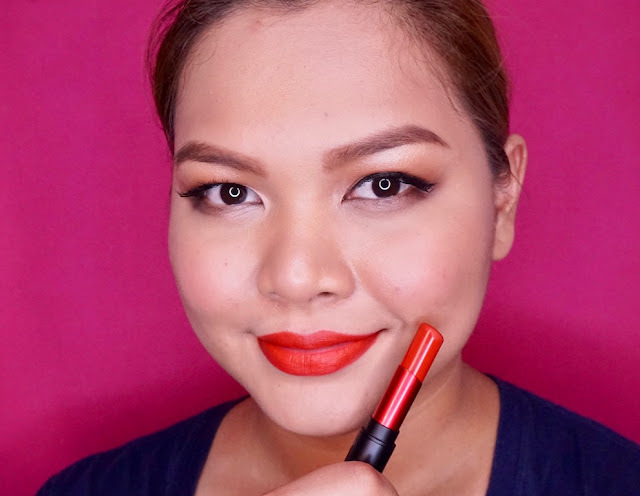 If you can't stand the texture of traditional matte lipstick, go for modern formulas like this one! Sleek matte! they're sooo fab! 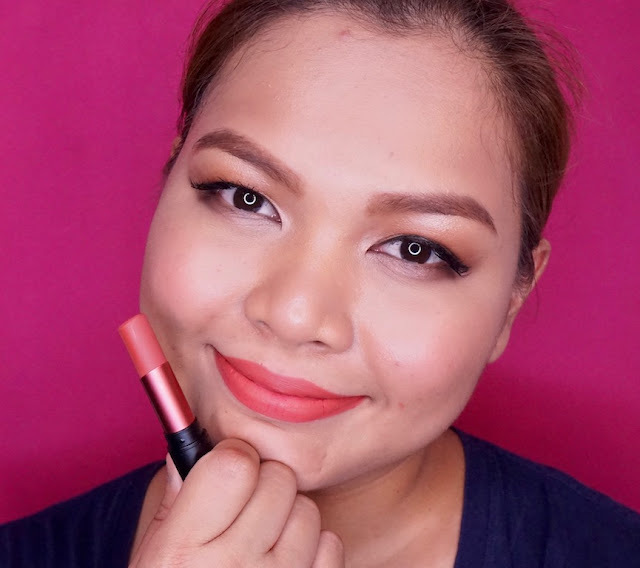 I love matte lipsticks in parties tlga, for me it's really the type of lipsticks we should wear na babagay sa fab oufits natin and to slay the party! yey! great job Club Clio! thumbs up! I must say that (based on your posts) Club Clio has reaaaallllyyy REAAALLLYYYY GOOOOOOD pigmentation! As in! Every time I see a swatch of any of their products, daaaaang. I'm left speechless. They all look super neat and bold! We need more innovations like these from Club Clio. They're killing it with the formulas. A+++ HAHAHA The brand sure has a lot (and I do mean A LOT) to offer. 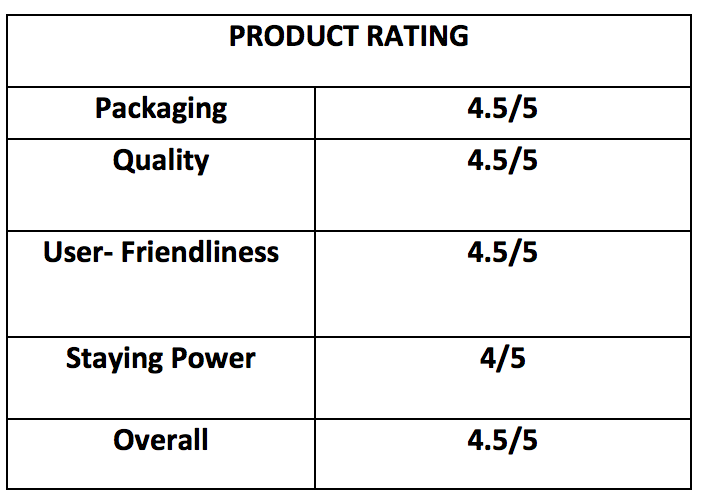 This sure beats a lot of other Korean brands in the Market. Thank you for this, Ms. Martha! 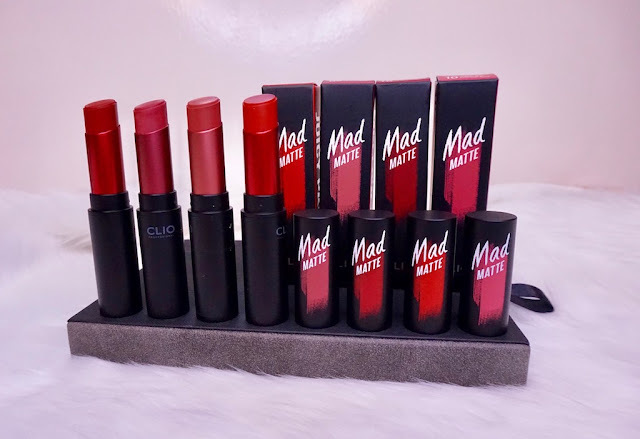 Pasabog Naman po Ang iyong pag babalik.. whaaa CLUB CLIO MAD MATTE is a bomb super love ko Po mga shades nito. Mellow Rose look so good on you Ms. M! Love the packaging too. Had a love at first sight with Crimson Rose! It's great that matte lipsticks nowadays can be applied without tugging and are not drying anymore. Welcome back, Ms. M! I enjoyed looking at your photos (on FB) of the serene beach, the brave jump and the photo where you are floating and the ripples surround you- everything looks perfect! Wow matte for the lips! Yan tlga ang need kc like nga po ng mga oldies n lipstick tlgng nkakadry ng lips. Yan ang perfect for the holidays kc kaliwa't kanan ang party bgay n bgay xa, un shades p lng catchy na, bonus un long power nia to stay n hndi mxdo need ng retouch at hndi ngflake s lips. Flaky lips at mdling mgfade yan un mga kdlasn prblm ng lht ng girls n katuld ko kht mgnda p xa tgnan s lips. Hoping n matry k xa, I love all the shades powerful and so girly!!! Love their sleek packaging! 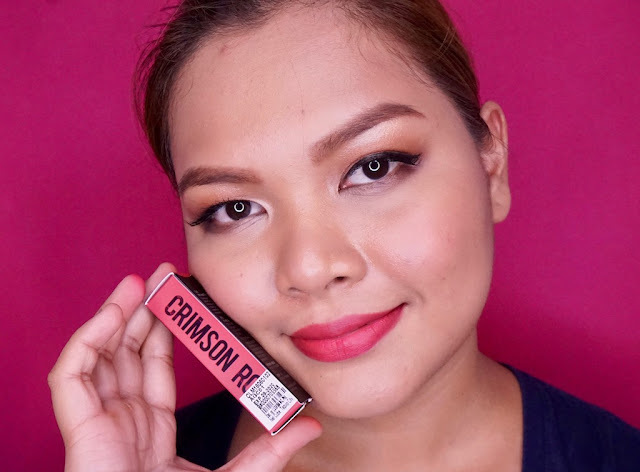 Crimson rose definitely caught my attention, shade is so girly.